What a treat to be invited to a Swiss wine tasting lunch a few months ago. It was an intimate gathering of just eight of us, including couple Damien Fleury and Cissy Li, owners of The Swiss Wine Store. Damien, from the French speaking part of Switzerland, is keen to bring the artisan wines of his home country to this market. 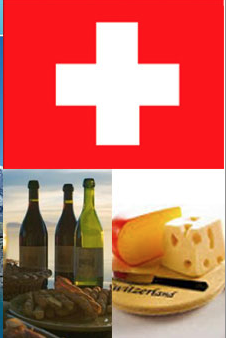 We all have our Swiss indulgences: cheese, chocolate, watches and, for some, even bankers; but Swiss wine? Well, it’s not surprising that not many are available in Hong Kong. The total vineyard area in Switzerland is 15,000 ha. To give you some perspective, that is only half the size of Burgundy, or 1/8 of Bordeaux, and equivalent to a mere 15% of Hong Kong's total land area. Its production—0.4% of the world total—is mainly consumed within the country, and we outsiders have to share just 2% of its production, about 3 million bottles for the whole world outside Switzerland. As in other European countries, wine making history in Switzerland can be traced back to Roman times. There are about 50 varieties planted nowadays, including around ten indigenous varieties which have very small planted areas. As I have mentioned before, I always have a soft spot for native varieties as they reflect the culture and soul of the place, and I was not let down by the Swiss ones at all. We had four whites, two made from Fendant (Chasselas), the symbol of Swiss white wine representing nearly a third of the total area under vine. It is a neutral variety and so can be expressive of the ‘terroir’. In Valais the wine has a herbal and spicy nose and a smoky finish; it made a great accompaniment to our Swiss cheese and air dried beef aperitif. I was particularly impressed by the Petite Arvine from the Collection Chandra Kurt, a powerful wine with citrus and ginger notes supported by lively acidity. There is a story behind this collection. It is a collaboration between Madeleine Gay, Swiss winemaker of the year 2008, and Chandra Kurt, a swiss wine writer who first visited Valais, the country's biggest wine region, some 20 years ago. The Collection has six wines made with indigenous grapes and aims to showcase the traditions and history of Valais. Well, I always love wine with a story behind it! The two reds we tried were Humagne Rouge—yes, another indigenous variety. It is lively with cherry, violet aromas and smooth tannin and reminded me of Dolcetto. It went pretty well with the duck leg confit. With such a small production, Swiss wines are not cheap (from HK$380 up). But luckily, like all pricey Swiss products, they are backed by quality. They would be perfect for a celebration or just to savour with some like-minded friends. With only 65ha under vine each (0.4% of total Swiss wine production), Petite Arvine and Humagne Rouge might well be more exclusive than a Bordeaux First Growth! Also a big thanks to Fishful Season Restaurant (Reservation: +852 2590 0690) in Tai Hang. If you are looking for a cosy private party for 10-12 people, this is the place. April was a busy month for South African wine in Hong Kong. 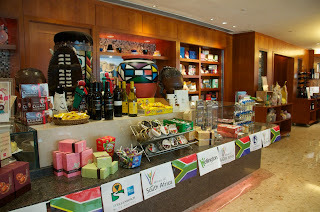 To celebrate the country’s Freedom Day on 27th April, the South African Cosulate-General and Wines of South Africa lent their full support to various organisations in Hong Kong, including the South China Morning Post (SCMP) and the Hong Kong Jockey Club (HKJC), hosting a series of South African wine activities. 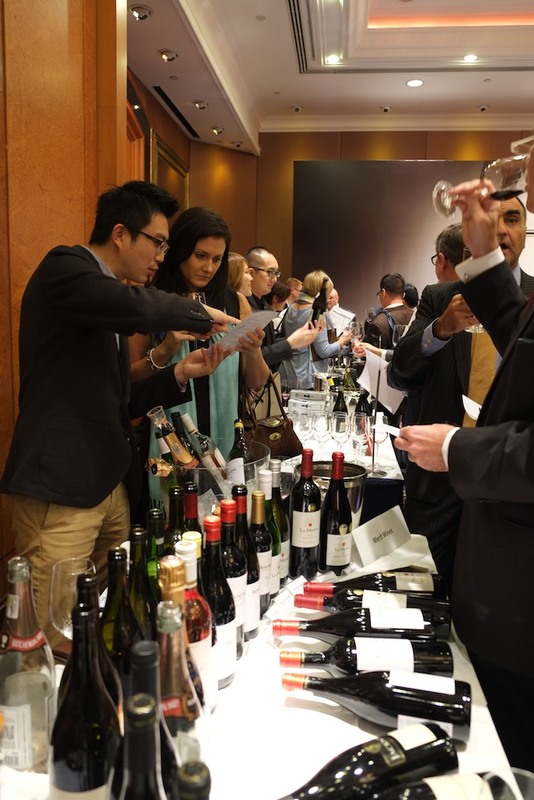 The SCMP South African wine evening saw 15 of Hong Kong’s South African wine distributors present over 130 wines from 36 wineries. Wines included both internationally acclaimed brands and less well known boutique names. Most were rated Platter’s 4 stars or above (for those who are not familiar with South African wine, Platter’s is the most comprehensive and authoritative annual South African wine guide. 5 stars is the maximum Platter’s rating). The HKJC, on the other hand, selected 10 South African wines of different styles, half available from Hong Kong and the rest directly from South Africa, to be served at its five venues, including country club, clubhouses and racecourses. Being a fan of South African wine, I went to most of these events and talked to guests and consumers. I found that about half had never tried South African wine. Some didn’t even realise that South Africa was a wine producing country. But they were all curious and were generally positive about the wines after trying them. In fact, the country itself drew a lot of interest and we ended up having lively discussions on South African themes, from landscape and nature to culture and people. It seems that South Africa is, rightly, on the ‘countries to be visited’ list of quite a number of people. Some people, though— and this includes people in the trade and even some South African winemakers—wrongly and unfairly dismiss South African wine for various reasons, one of which is Pinotage,. Pinotage is a cross between Pinot Noir and Cinsault, and is a unique South African variety. It is true that early Pinotage was often green and bitter, but with improved winemaking techniques and better understanding of the variety, today’s Pinotages should be a pride of of the South African wine industry. Its easy drinking style with moderate tannin appeals to inexperienced consumers. A few enthusiastic drinkers were comparing Pinotages from different wineries at the SCMP evening and happily declared that they liked the variety. Those who like rich wine were equally impressed by the more serious style of Pinotage that shows depth and ageing capability. The Rijk’s Pinotage Reserve 2008 at the HKJC was one of the most popular wines among Bordeaux drinkers. 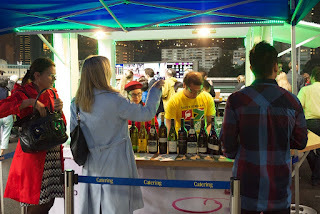 Chenin Blanc is another variety that attracted attention. It has crisp acidity and can be made into different styles from sparkling and refreshing summer white wine to complex barrel fermented food-friendly wine and sweet wine. The Ken Forester Reserve Chenin Blanc (available from Kerry Wines) and Bellingham Old Vine Chenin Blanc (available from Northeast) were particular popular at the SCMP evening. Chenin Blanc is in fact a Loire variety although not many consumers are aware of this thanks to the ‘non-disclosure’ of grape varieties on most French labels, but it is in South Africa where the variety shows its true self. 1/5 of the vineyard planting in South Africa in Chenin Blanc, far more than what it is planted in Loire. South Africa is also reputed for its international varieties: Pinot Noir and Sauvignon Blanc from the cooler regions of Elgin and Hermanus, full bodied Chardonnay and Bordeaux blends from Stellenbosch, Syrah and Rhone style wines particularly from Swartland. Its wine is as diverse as its landscape and culture. The wines showcased in the SCMP and HKJC events truly did impress some of the most discerning drinkers. 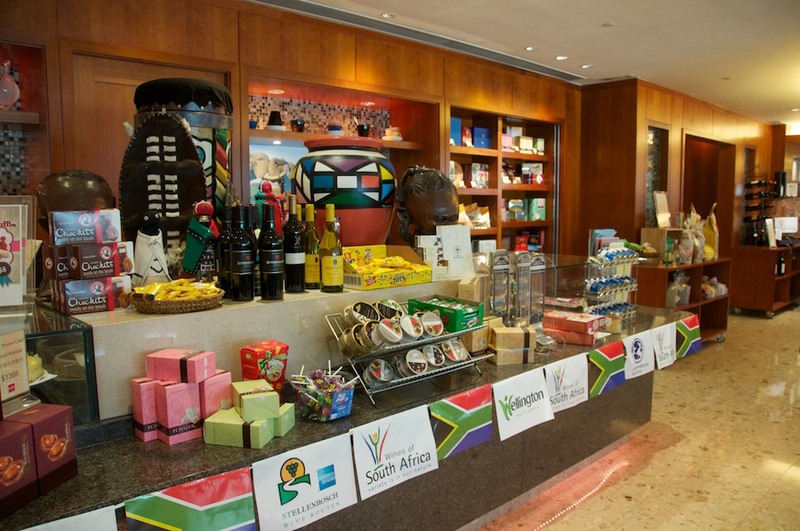 Hong Kong wine lovers deserve to taste more South African wine. South Africa Freedom Day commemorates the country’s first democratic post-Apartheid elections in 1994. It unites South Africans of all colours and backgrounds to celebrate democracy and freedom. Next year will be its 20th anniversary. It would be a perfect moment to introduce more of these wonderfully diverse wines to Hong Kong wine lovers. We are all looking forward to celebrating the Rainbow Nation and its wine.